So my dear brothers and sisters belonging to our Lord Jesus Christ, as we read the bible there are many names given to our God. But the name that is the most prominent that is given to God is the name Father. For Muslims to call God father is blaspheming, a grave sin. But Jesus has told us exactly the opposite. That when we address God we should call him Father. Again the bible give God many qualities, but the quality which seems to be the most outstanding given to God is God is love. And Jesus teaches these things by comparing the love of God Father to the love of our human father. And that is what I want to share with you this morning. To help you to know who God our Father is. By looking to our own earthly fathers. One of the most strange things Jesus has said, he said to the fathers of this day “if you fathers, wicked as you are, want to love your children and give them the best. How much more will your heavenly Father gives the best to those who come to Him as his children.” And therefore you notice even in the bible in one hand a great similarity between God our father and our own human fathers. But at the same time an amazing contrast between God and our fathers. Therefore why did Jesus ask us to call God our father? Why did Jesus tell us we must look upon God not just as our creator, not just as the Almighty, but as our father? Why did Jesus ask us to pray to God calling him Father? In the first place, because God has created us as Himself. Because God making us in his own image and likeness, you know in our own human fathers how he is proud of his little son who looks like him. And often the mother will say “oh our little son looks exactly like his father.” And therefore the first reason why we should call God our father because we owe our existence to Him. Our earthly fathers have made our bodies, but our heavenly Father has made our mind, our heart, our inner personality, like Himself. That is why we read even in the Old Testament the psalmist asking God “Why have You made us? Why are you taking so much care about us when we are so bad and sinful?” And the psalms they selves give the answer and his answer is a very strange answer and he says “It is because you God has made us a little bit less than Yourself. And You have crowned us with your glory. And on the other hand we are created to be like God.” We belong to Him. One day I was in the home of a friend of mine in England, in England. And I was looking after the little granddaughter of that friend. She was just about four years old. And she was playing with the boy of the neighboring family. And the boy was boasting about his father to the little girl, and you know how little boys like to boast about their father, and at a certain moment he asked the little girl about her father. Now I knew the parents of the little girl were separated and the girl was leaving with her mother. For a moment the little girl did not know what to do. Did not know what to say. And suddenly she pointed out to me and told the little boy “that is my father.” That is why when we read the bible God has created each one of us to have both parents. A little girl wants a father. A little boy wants a mother. And a mother and a father are together the reflection of God. God’s reflection to us is not complete if one of our parents is not there. Again, why must we call God our father? Because He loves us. He has not only created us and left us by ourselves, but the bible says He loves us. Which means He wants to have a personal relationship with each one of us and that is why saint John says in his epistle, he says “See how much God, our father, loves us. The people of the world do not know who God really is. But we know.” And then saint John burst out in ecstasy of his experience. And he says “God is love.” For Christians, God is nothing else but love. And that is why Christianity is different from all other religions. Christianity is a religion of love. Because God, our father, is love. And God has sent his only son, Jesus, out of love. And that is why again in the Old Testament, God himself is speaking and saying, he says “You belong to me. You are the sheep of my pasture. I will walk among you and you will be our sons and daughters.” And at the same time we are loved by God, our father. For us Christians, God is love and not an impersonal divine energy. As it is in reiki and other new age movements. In Hinduism, in New Age, there is no idea of a personal God. It is only in Christianity that God is a person and we are persons. And our relationship with God is meant to be a personal relationship. And therefore we are not people that attain happiness by identifying ourselves with an impersonal God. And loosing our own identity. No, for us happiness means relating to God in a personal way. For us Christians, God respects our personality. Even though He made us, He knows we are different. He knows in every family the children are different one from the other. And every parent knows that the children cannot be the same. Every parent knows that each one has to be brought up in its own unique, special way. And therefore, for God, each one of us is someone unique. I know saint Peter says for God there are no favorites. God loves us all equally. But later on what did saint Paul say? He says each one of us is God’s favorites. So it is like a contradiction in terms. On the one hand God has no favorites. On the other hand, God has five thousand million favorites. If God threats us as if we were the only persons in the world for Him to love. Again, how do I know that God loves me? Because He cares for me. When I give retreats to young people and I ask the youths what hurt you the most in your lives. They will simply tell me “Oh my daddy does not care for me. My daddy does not love me.” But what did Jesus say about God? His father and our father. This is what he tells us, he says “Don’t worry about the future. Don’t be afraid of things and of people around you.” If God, our father, takes so much care about birds and trees, how much more care God will take of each one of us? Who is of much more value than the birds and the trees. And Jesus says “If God has given us lives, won’t he give us food? If God has given us our bodies, won’t he provide us with clothes?” But then Jesus gives us the clues of God caring for us. God gives us reason, why will He continue to care for us? When Jesus says “Seek Him first, the kingdom of God and everything else will follow. This is what the bible says very forcefully, God cares for each one of us. And when sometimes we feel nobody cares for us, this is what a little orphan boy would say, orphan, or what a widow will say, what an old person would say, nobody cares for me. But Jesus says very strongly “God cares for me” and Peter would add “therefore cast all your cares onto the Lord.” On the other hand, God never forgets us. We are always remembered by God. No wonder Jesus has told us to call God father. Again, how do I know God loves me? That God is my father? Is because when I go the wrong way, when I have fallen short of the expectations of God, God does not say “Now, let me choose another person.” Suppose an artist makes a beautiful statue. And unfortunately, he makes a big mistake on that statue. What does he do? He breaks that statue or he gives it away. And he makes a new statue. Now God does not do that with us. He will not say “Vinicius, well, I do not like you now. And therefore I want to make another Vinicius.” God will not say that, but God will remake me in His image and likeness. How many people have told me in confession, said “Father, I have broken all of the ten commandments. And if there was one more commandment I would have broken that too. I am worse than Mary Magdalen, I am worse than Maria Madalena.” No, no, Maria Madalena. 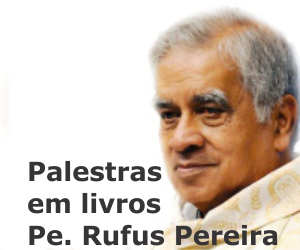 (Father Rufus corrects the translator who said Holy Mary instead of Mary Magdalen) Eu entendo Portuguese um pouco (Father Rufus says “I understand a little Portuguese” in Portuguese). So they tell me “I am worse than Mary Magdalen. Will God ever forgive me? He must be thinking very badly about me.” And what does God say? The thing he says in the bible are incredible. For example, for the Prophet Isaiah, what does God say? He tells a sinner, he speaks to a sinner, he says “Let us discuss matters together. Let us talk it over. If your sins are as red as scarlet, I will make them white as snow.” Again, what does God say in the Prophecy of Jeremiah? This is what God says “I will forgive the sins of my children and I will never remember them anymore.” Our God is a God who not only forgives our sins, but forgets them. As if in His sight we have never sinned. You see, you cannot compare Christianity with any philosophy or religion. It is something beyond the things of this world. And therefore it says that God not only forgives, but he wipes over our sinfulness. Again, how do I know that God loves me? Because even though He loves me, He always corrects me. One day, a lady came to me for counseling and this is what she told me, she says “Father, I hate my mother.” And I said “Why?” “Because she never corrected me. She allowed me to do what I wanted. And I thought I had the best mother in the world. But now I realize that if she had corrected me my life would not have been in this present mess.” But what God, our Father, does to us? The bible is very emphatic in saying this “that our God is not a God of only loving us, but who corrects us.” Who even punishes us and is always disciplining us. 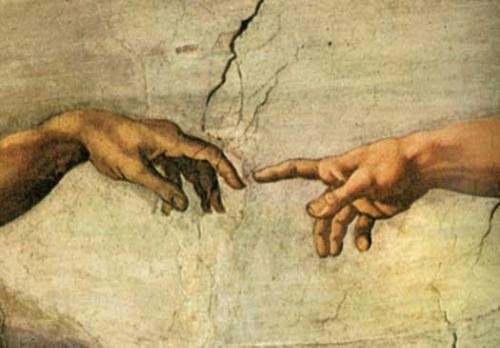 For example, the bible says “God disciplines us as a father disciplines his son.” Again the bible says “If God does not correct us we cannot call Him father.” And the letter to the Hebrews says “You must count as something beautiful when God is correcting us.” God, our father, corrects us as our earthly fathers correct us. But only for the things of this world. But God our father, corrects us for things for eternity. Our earthly fathers sometimes correct us wrongly, because they are human beings. But when God corrects us is always rightly and is for our good. Therefore the letter to the Hebrews says “Count it a blessing, look upon it as a sign of God´s love.” When God corrects us, at that time is painful to have that correction but God knows what He is doing. On the other hand, God is not only correcting us but sometimes he is testing us. The devil tempt us, but God tests us. There is a difference. But sometimes the same thing, when the devil wants to tempt us, God uses to tests us. One day a young lady came to me at that retreat I was giving and this is what she told me with great sorrow and anger and this is what she said, she says she was returning from midnight mass on Christmas night in a parish and on the way home she was gang raped. And then she told me “How could God allow this to happen to me? I always have been good. I have been a very religious person. And for this have happened on a Christmas night? And after the midnight mass.” Well you know, I did not know what to say. I know the answer from the bible that God always works for good in all those who love Him. But what did Jesus say in the gospel? He says it to all the apostles, he says to his own apostles, who themselves were being persecuted by the religious leaders of that day. And what did Jesus say? “Don’t worry about what people will do to you. Don´t worry even if they hate and persecute you. Don´t be afraid of them, because I have given you the victory.” And in his own agony in the garden of Gethsemane what was Jesus´s prayer? It is the only time in the gospel in which Jesus calls God, Abba. In which the evangelist say Jesus called God, father. And what did Jesus pray? He says “God, my father, my Abba, if it is possible take away from my life this moment of trial. Let me not pass thru this suffering. But do not what I want, but what You want.” And this is the prayer that Jesus taught us in the “Our Father”. Our father, may your will be done in my life. In this world as it has been done in heaven. Again, how do I know my God, our father, loves me? Because He is always for me. One of the most beautiful things Saint Paul says about God, our father, is what he says in the letter to the Romans. “God is always at work for good in our lives.” And then he cries out “If God is at our side, who can be against us? If God is for us, who can be against us?” And therefore our right to call God, father, by this name God for us. If someone was to ask me “who is God to you? How would you define God, your father?” I would say this “God, my father, is the one who is always for me. Always for us. This is the revelation of Jesus. And therefore I will ask you to always think of God as the one who is always for you. Again, how do I know that God loves me? Because He is always teaching me. We know in the bible how often does God appear to His people. And is teaching them everything in great detail. Unfortunately today, people are going to the wrong persons for guidance. For the wrong persons for teaching. But you read what God teaches us in the bible and you will see what an incredible difference between both these teachings. Again, how do I know that God loves me? Because He is always encouraging me. Our God is a God of constant encouragement. How many people have told me “My father never gave me a hug. My father never embraced me.” But what does the bible say about our God? That God is always encouraging us. We have seen the life of Jesus himself who is a reflection of God´s love. When the mothers brought the children to him and the apostles wanted to put them away. Jesus was angry with his apostles. Is the only time in the gospels that Jesus was angry with them. And he told them “Don´t stop them of coming to me.” And what did Jesus do? He took the children on his lap. He embraced them. He kissed them. He put his hands on their heads and prayed for them. This is the image of what God, our father, is doing for us. Therefore for the God of a Christian, is a God of this kind of love. And finally, why can we call God our father? Because God is always proud of us. One of the most beautiful experiences we have with our own fathers, that we can say about our father, “oh, my daddy was always proud of me.” I was talking to a friend of mine in Rome who was writing his thesis in Scripture. And what was the topic of his thesis? It was just one verse of the bible. The verse which says “Be perfect as God Himself is perfect.” And he was working for two years on this one sentence. And I told him “Why waste your time on this one sentence?” And he told me “Because this is the summary of the whole gospel.” What does it mean? It means that God loves us so much he wants us to be not just like him. He has created us to be like him, but he wants us to be as perfect as He is. In the Old Testament, God says “Be holy as I am holy.” In the New Testament, Jesus says “Be compassionate as your Father is compassionate.” Look at our own earthly fathers, every father wants his son to be the best. Every father has great plans about his son. He wants his son to be a doctor or an engineer. Maybe the next president of Brazil. Maybe the next pope. Every father is dreaming about the future of his son. How much more God our father dreams of each one of us? And it is not only dreaming, he has said it, God wants us to be the best. He is not satisfied with the second best. He wants us to be the best person. And that is why God loves us. My dear brothers and sisters, when we look at the gospels we will realize why did Jesus tell us to call God our father. We will know it better when we read another sentence of Jesus, we began this teaching by saying that this was what Jesus said “If your fathers, wicked as they are, know how to give good things to your children. How much more will your heavenly father give you the best?” But I would like to end this talk by something else that Jesus said, something that it is not so good, this is what Jesus said, he said “Don´t call any human being your father.” This is what Jesus said. And you may wonder why. He said “Only call God your father, because he is the only one who deserves a title of father.” He is the only one who deserves to be called father. Does not mean therefore, that after this session, you will not call your daddy´s father anymore. That you shall not call me or father Jonas father. And you tell me “This is what father Rufus said. This is what Jesus said.” Jesus said that but what did he mean? This is what he was having in his mind, it was rather a challenge to us, because earthly fathers whether physical daddys, or our spiritual fathers, are meant by God to be the signs and channels of our Father´s love. Every human daddy, whether is our physical father or our spiritual father, has a tremendous vocation from God. He has to be a sign from God´s love. And more than that, he must be a channel, a mean of the Father´s love. And unfortunately, very often the opposite is happening. How many people have told me “I hate my father” The greatest hurt I have seen in catholic families everywhere in the world, is having a father who is an alcoholic and who is a violent man and terrorizes the mother and the children. And worse too, abandon the children. For what reason? For no reason. Maybe for some fleeting pleasure. For his own comfort. That is why Jesus said “Don´t call any human being your father.” He was saying that as a challenge to you, earthly fathers. He was telling the earthly fathers, both spiritual fathers and physical fathers, that their vocation is to come up to the standard of God, our father. You have a great responsibility and an ideal. And therefore to be a father is not easy. It is a risk. It is a challenge. But Jesus tells us that the father´s love ought to be a model, ought to be a challenge to all you fathers here, to all the fathers of Brazil. Now I will end with a story. I was blessing homes during Easter week in my parish in Bombay and I came to a very big house and I was knocking at the door. There was no answer. Ringing the doorbell. No answer. And then the altar boys that were accompanying me told me “Father, don´t go to that house. That man is an alcoholic.” And I told these boys “I know that, but I have heard that he has changed. He had joined the alcoholics anonymous.” And then he told me “But father, he has gone back. He has had a relapse.” At that moment, a woman in the neighboring house looked thru the window and she told me “Father don´t go to that house. That man is like a pig and his house is like a pig sty.” So I told her “I have not come to bless houses but to bless homes.” And I continued to ring the doorbells. And then the door opened and this man looked at me. I recognized him. He apologized that he did not know it was the day of the blessings of the homes. I knew his background, he belonged to one of the most catholic families of Bombay. Priests and nuns in the family. But unfortunately, he had become an alcoholic. His marriage was broken. He became a pauper. And then, as I went on blessing the house, well he was really like a pig, with blood shot eyes and disheveled hair. His house was like a pig sty, with vomit and excrement here and there. I noticed there was not a single piece of furniture in that whole house. He sold every piece of furniture for drinks and noticed he had no clothing, except the shorts he was wearing. He told me later on that he had sold every bit of clothing for drinks. And after blessing the whole house, I was filled with the compassion of Jesus. Knowing what pain and humiliation he had brought to his family. And I cried out to him, I wish you could change. But he turned to me and he cried out “Father, I want to change, but tell me how.” I did not know then the answers I know now. But I noticed a beautiful statue of the sacred heart of Jesus in the corner of the sitting room. And I took him in front of that statue. And I told him “I want you to promise Jesus at this moment that you will not touch a drop of alcohol.” What made me say that I don´t know. And then I lead him to a prayer of repentance, the prayer of forgiveness and a prayer of renunciation. I lead him into praying accepting Jesus as his Lord and Master. And a prayer asking the Holy Spirit to fill his life. And then I left the house. If you were to ask me then “Do you thinking your praying might have helped him?” I would have told you “Frankly, no.” Because then I did not have any faith. I only had it when I was praying with him. And I forgot him. One year later, the fathers of the parish were invited for a party in one of the homes of the parishioners. And we all went, it was a very big party. And in every room there were guests and at a certain moment, the host of that party, the one to whom the house belonged, stood up and he spoke, and he said “You may wonder why I have called for this party, you may wonder why only soft drinks are being served. Because” he said “today, exactly one year ago, a priest came to this house” And as he began to tell the story my hair began to stand on ends, because I realized he was referring to my visit to his house exactly one year ago. But it was true, because from that one moment of prayer a year ago he had not touched a drop of alcohol. The Lord had freed him completely of his alcoholism. And more than that, his body was ravished with disease. The doctors had given him only two months to live. But when God took away from him the alcoholism, God healed him even of his bodily sickness. And then he made himself available to help every alcoholic in Bombay. So he attend all the alcoholics anonymous groups and he would give his own very strong testimony. And he would end his testimony by two sentences: “I thank God my father, for allowing me to go right down to the gutters.” He was often seen in the gutters of Bombay. Gutters with all the dirt and mud floors. Yes. He was often seen on the road fallen down. “Because if I had not gone down there, I would never have experienced how much God loves me.” And secondly he would say “There is only one person I thank and that is our Lord Jesus Christ for giving me this one last chance. For giving me this last chance of coming back to the home of my father.” Praise the Lord. Esta palestra é especial. Foi em 1999, quando o Padre Rufus teve registrado pela primeira vez as suas pregações no Brasil. O precioso registro foi agora transcrito em inglês. Submetemos ao Tradutor Google e apresentamos o resultado abaixo. Portanto, meu querido irmão e irmãs pertencentes a nosso Senhor Jesus Cristo, como lemos na Bíblia há muitos nomes dados ao nosso Deus. Mas o nome que é o mais importante que é dado a Deus é o nome Padre. Para os muçulmanos a chamar Deus pai está blasfemando, um pecado grave. Mas Jesus nos disse exatamente o oposto. Que, quando nos dirigimos a Deus, devemos chamá-lo de pai. Mais uma vez a Bíblia dá a Deus muitas qualidades, mas a qualidade que parece ser o mais notável dada a Deus é Deus é amor. E Jesus ensina essas coisas, comparando o amor de Deus Pai para o amor do nosso pai humano. E é isso que eu quero compartilhar com você esta manhã. Para ajudar você a saber que Deus nosso Pai é. Ao olhar para os nossos próprios pais terrenos. Uma das coisas mais estranhas Jesus disse, ele disse aos pais de hoje "se vocês, pais, mau como você é, quero amar seus filhos e dar-lhes o melhor. Quanto mais vosso Pai celeste dá o melhor para aqueles que vêm a Ele como seus filhos. "E, portanto, você percebe mesmo na Bíblia em uma das mãos uma grande semelhança entre Deus nosso Pai e nossos próprios pais humanos. Mas, ao mesmo tempo, um incrível contraste entre Deus e os nossos pais. Portanto, por que Jesus nos pede para chamar Deus de nosso pai? Por que Jesus nos diz que devemos olhar para Deus e não apenas como nosso criador, não apenas como o Todo-Poderoso, mas como nosso pai? Por que Jesus nos pede para orar a Deus chamando-o de Pai? Em primeiro lugar, porque Deus nos criou como Ele Mesmo. Porque Deus nos fazer à sua imagem e semelhança, você sabe que em nossos próprios pais humanos como ele está orgulhoso de seu filho pequeno, que se parece com ele. E muitas vezes a mãe vai dizer "oh nosso filho pequeno se parece exatamente com seu pai." E, portanto, a primeira razão pela qual devemos chamar Deus de nosso pai, porque nós devemos nossa existência a Ele. Nossos pais terrenos fizeram nossos corpos, mas nosso Pai celestial tem feito a nossa mente, nosso coração, nossa personalidade interior, como a si mesmo. É por isso que lemos até mesmo no Antigo Testamento o salmista pedindo a Deus "Por que nos fez? Por que você está tomando muito cuidado sobre nós quando estamos tão mau e pecador? "E os Salmos eles selves dar a resposta e sua resposta é uma resposta muito estranho e ele diz:" É porque você Deus nos fez um pouco menos do que você mesmo. E o Senhor nos coroada com a vossa glória. E, por outro lado, são criados para ser como Deus. "Nós pertencemos a ele. Um dia eu estava na casa de um amigo meu, na Inglaterra, na Inglaterra. E eu estava cuidando da netinha desse amigo. Ela tinha apenas cerca de quatro anos de idade. E ela estava brincando com o menino da família vizinha. E o menino estava se gabando de seu pai para a menina, e você sabe como os garotos pouco gostam de se gabar de seu pai, e em determinado momento ele perguntou à garota sobre seu pai. Agora eu sabia que os pais da menina foram separados ea menina estava saindo com sua mãe. Por um instante, a menina não sabia o que fazer. Não sabia o que dizer. E de repente ela apontou para mim e disse ao menino "que é o meu pai." É por isso que quando lemos a Bíblia, Deus criou cada um de nós para ter ambos os pais. A menina quer um pai. Um menino quer uma mãe. E um pai e uma mãe estão juntos o reflexo de Deus. Reflexão de Deus para nós não é completo se um de nossos pais não está lá. Mais uma vez, por isso que devemos chamar Deus de nosso pai? Porque Ele nos ama. Ele não apenas nos criou e nos deixou sozinhos, mas a Bíblia diz que Ele nos ama. O que significa que Ele quer ter um relacionamento pessoal com cada um de nós e é por isso que São João diz em sua epístola, ele diz: "Veja o quanto Deus, nosso pai, nos ama. As pessoas do mundo não sabe quem Deus realmente é. Mas nós sabemos. "E então santo John explodiu em êxtase de sua experiência. E ele diz: "Deus é amor." Para os cristãos, Deus não é senão amor. E é por isso que o cristianismo é diferente de todas as outras religiões. O cristianismo é uma religião de amor. Porque Deus, nosso pai, é o amor. E Deus enviou seu único filho, Jesus, por amor. E é por isso outra vez no Antigo Testamento, o próprio Deus está falando e dizendo, ele diz: "Você pertence a mim. Você é as ovelhas do meu pasto. Andarei entre vocês e vocês serão nossos filhos e filhas. "E, ao mesmo tempo que somos amados por Deus, nosso pai. Para nós, cristãos, Deus é amor e não uma energia divina impessoal. Como é em reiki e outros movimentos da nova era. No hinduísmo, em Nova Era, não há idéia de um Deus pessoal. É somente no cristianismo que Deus é uma pessoa e nós somos pessoas. E o nosso relacionamento com Deus é destinado a ser um relacionamento pessoal. E, portanto, não são pessoas que alcançar a felicidade, identificando-nos com um Deus impessoal. E perder nossa própria identidade. Não, para nós felicidade significa relacionar com Deus de uma maneira pessoal. Para nós, cristãos, Deus respeita a nossa personalidade. Mesmo que Ele nos fez, Ele sabe que somos diferentes. Ele sabe que em cada família os filhos são um diferente do outro. E todos os pais sabem que as crianças não podem ser o mesmo. Todo pai sabe que cada um tem que ser levado até à sua maneira única, especial. E, portanto, a Deus, cada um de nós é uma pessoa única. Eu sei que São Pedro diz para Deus não há favoritos. Deus nos ama a todos igualmente. Mas, mais tarde, o que São Paulo diz? Ele diz que cada um de nós é os favoritos de Deus. Então, é como uma contradição em termos. Por um lado, Deus não tem favoritos. Por outro lado, Deus tem cinco mil milhões de favoritos. Se as ameaças nos Deus como se fôssemos as únicas pessoas no mundo que Ele ama. Mais uma vez, como eu sei que Deus me ama? Porque Ele cuida de mim. Quando dou retiros para jovens e peço aos jovens o que ferem o mais em suas vidas. Eles simplesmente me dizer "Oh, meu pai não se importa para mim. Meu pai não me ama. "Mas o que Jesus disse sobre Deus? Seu pai e nosso pai. Isto é o que ele nos diz, ele diz: "Não se preocupe com o futuro. Não tenha medo das coisas e das pessoas ao seu redor. "Se Deus, nosso Pai, toma muito cuidado com pássaros e árvores, quanto mais cuidado Deus tomará de cada um de nós? Quem é de muito mais valor do que os pássaros e as árvores. E Jesus diz: "Se Deus nos deu vive, ele não vai nos dar comida? Se Deus nos deu nossos corpos, ele não vai nos fornecer roupas? "Mas, então, Jesus nos dá as pistas de Deus cuidar de nós. Deus nos dá razão, por que Ele continue a cuidar de nós? Quando Jesus diz: "Buscai-O em primeiro lugar, o reino de Deus e tudo o mais se seguirão. Isto é o que a Bíblia diz com muita força, Deus cuida de cada um de nós. E quando às vezes a gente sente que ninguém se importa para nós, isso é o que um menino órfão diria, órfão, ou o que a viúva vai dizer, o que uma pessoa de idade diria, ninguém se importa comigo. Mas Jesus diz muito fortemente "Deus cuida de mim" e Peter gostaria de acrescentar ", portanto, lançar todas as suas preocupações sobre o Senhor." Por outro lado, Deus nunca se esquece de nós. Estamos sempre lembrado por Deus. Quantas vezes, quando damos retiros ou missões, uma pessoa vai me dizer "pai, por favor, não se esqueça de mim." Portanto, todos nós queremos ser lembrados. E uma das maiores dores em nossos corações, hoje, é quando somos esquecidos. Eu estava dando um retiro em Goa, na Índia, foi para os jovens daquele estado e todos eles vieram de lares pobres. Muitos eram de famílias onde os pais eram alcoólatras. De famílias onde os pais eram muito violentos. E havia uma menina que veio para o aconselhamento e isso é o que ela me disse, quando ela tinha três anos de idade seu pai abandonou a família por outra mulher. E então sua mãe estava cuidando dela. Mas, então, a mãe teve que ir ao Kuwait para levar um trabalho para trazer a família. E ela deixou a filhinha com um casal de idosos em Pangim, Goa. Onde sua própria mãe trabalhava como empregada doméstica. E este velho casal amava a menina. Deram-lhe a educação, eles cuidaram muito bem dela. Depois de cinco anos, a mãe voltou para Goa para um mês de férias. E então a menina, ela estava agora com oito anos de idade, ela estava esperando e esperando para conhecer sua mãe que ela não tinha visto nos últimos cinco anos. E depois do feriado do mês acabou e, em seguida, a mãe voltou para o Kuwait sem visitar a filha. Então, quando a menina veio me pedir aconselhamento você pode imaginar o que era a ferida em seu coração. E enquanto eu orava por ela todos esses anos de tristeza e amargura só explodiu em uma enxurrada de lágrimas e gritos. Mas o que Deus, nosso pai, diz? Já no Antigo Testamento o profeta Isaías, este é o que Deus diz: "Pode a mãe esquecer o seu bebê? Pode a mãe esquecer uma criança que veio de seu próprio corpo? "Mas mesmo que ela deve esquecer Deus diz:" Eu não vou esquecer. Porque eu gravei seu nome na palma da minha mão. "Mas mesmo isso não é necessário, porque Deus diz:" Eu estou sempre pensando em você. Você está sempre em meus pensamentos. " Não admira que Jesus nos disse para chamar Deus de pai. Mais uma vez, como eu sei que Deus me ama? Que Deus é o meu pai? É porque quando eu ir para o lado errado, quando eu ficaram aquém das expectativas de Deus, Deus não diz "Agora, deixe-me escolher outra pessoa." Suponha que um artista faz uma bela estátua. E, infelizmente, ele faz um grande erro em que estátua. O que ele faz? Ele quebra a estátua ou dá-lo afastado. E ele faz uma nova estátua. Ora, Deus não faz isso com a gente. Ele não vai dizer "Vinicius, bem, eu não gosto de você agora. E, portanto, eu quero fazer uma outra Vinicius. "Deus não vai dizer isso, mas Deus me refazer à Sua imagem e semelhança. Quantas pessoas já me disse em confissão, disse: "Pai, eu quebrei todos os dez mandamentos. E se houvesse mais um mandamento que eu teria quebrado isso também. Sou pior do que Maria Madalena, eu sou pior do que Maria Madalena. "Não, não, Maria Madalena. (Padre Rufus corrige o tradutor que disse Santa Maria, em vez de Maria Madalena) Eu entendo Português hum pouco (Padre Rufus diz "Eu entendo um pouco de Português", em Português). Então eles me dizem "Eu sou pior do que Maria Madalena. Será que Deus vai me perdoar? Ele deve estar pensando muito mal de mim. "E o que Deus diz? A coisa que ele diz na bíblia são incríveis. Por exemplo, para o profeta Isaías, o que Deus diz? Ele diz a um pecador, ele fala de um pecador, ele diz: "Vamos discutir assuntos juntos. Vamos falar sobre isso. Se os vossos pecados sejam vermelhos como escarlate, vou fazê-los brancos como a neve. "Mais uma vez, o que Deus diz na profecia de Jeremias? Isto é o que Deus diz: "Eu vou perdoar os pecados dos meus filhos e eu nunca vai se lembrar mais deles." Nosso Deus é um Deus que não só perdoa os nossos pecados, mas esquece-los. Como se diante dele nunca ter pecado. Você vê, você não pode comparar o cristianismo com qualquer filosofia ou religião. É algo além das coisas deste mundo. E, portanto, ele diz que Deus não só perdoa, mas ele limpa sobre a nossa pecaminosidade. Mais uma vez, como eu sei que Deus me ama? Porque mesmo que Ele me ama, Ele sempre me corrige. Um dia, uma senhora veio me pedir aconselhamento e isso é o que ela me disse, ela diz: "Pai, eu odeio a minha mãe." E eu disse: "Por quê?" "Porque ela nunca me corrigiu. Ela me permitiu fazer o que eu queria. E eu pensei que tinha a melhor mãe do mundo. Mas agora eu percebo que se ela tivesse me corrigiu minha vida não teria sido no presente bagunça. "Mas o que Deus, nosso Pai, nos faz? A Bíblia é muito enfática ao dizer isso "que o nosso Deus não é um Deus de só nos amar, mas que nos corrige." Quem ainda nos pune e está sempre nos disciplinar. Por exemplo, a Bíblia diz: "Deus nos disciplina como um pai disciplina seu filho." Mais uma vez a Bíblia diz: "Se Deus não nos corrigir, não podemos chamá-lo de pai." E a carta aos Hebreus diz: "Você tem de contar como algo belo quando Deus está nos corrigir. "Deus, nosso pai, nos corrige como nossos pais terrenos nos corrigir. Mas só para as coisas deste mundo. Mas Deus, nosso pai, nos corrige para as coisas para a eternidade. Nossos pais terrenos, por vezes, nos corrigir de forma errada, porque eles são seres humanos. Mas nós quando Deus corrige está sempre com razão e é para o nosso bem. Por isso, a carta aos Hebreus diz: "Conte-lhe uma bênção, olhar para ela como um sinal do amor de Deus." Quando Deus nos corrige, em que o tempo é doloroso ter que correção, mas Deus sabe o que está fazendo. Por outro lado, Deus não está apenas corrigindo nós, mas às vezes ele está nos testando. O diabo nos tenta, mas Deus nos prova. Há uma diferença. Mas às vezes a mesma coisa, quando o diabo quer nos seduzir, Deus usa para nos testes. Um dia, um jovem veio a mim no que eu estava dando retiro e é isso que ela me disse com grande tristeza e raiva e isso é o que ela disse, ela disse que estava retornando de Missa do Galo na noite de Natal em uma paróquia e na caminho de casa, ela foi estuprada. E então ela me disse "Como Deus poderia permitir que isso aconteceu comigo? Eu sempre fui bom. Eu tenho sido uma pessoa muito religiosa. E para isso ter acontecido em uma noite de Natal? E depois da meia-noite em massa. "Bem, você sabe, eu não sei o que dizer. Eu sei a resposta da Bíblia que Deus trabalha sempre para o bem em todos aqueles que o amam. Mas o que Jesus disse no evangelho? Ele diz que a todos os apóstolos, ele diz a seus próprios apóstolos, que se estavam sendo perseguidos pelos líderes religiosos daquela época. E o que Jesus disse? "Não se preocupe com o que as pessoas vão fazer com você. Não se preocupe, mesmo que eles odeiam e vos perseguem. Não tenha medo deles, porque eu vos dei a vitória. "E na sua agonia no jardim do Getsêmani, o que era Jesus's oração? É a única vez no evangelho em que Jesus chama a Deus, Abba. Em que o evangelista diz que Jesus chama Deus, pai. E o que Jesus orou? Ele diz: "Deus, meu pai, meu Abba, se é possível tirar a minha vida neste momento de provação. Não me deixes passar através deste sofrimento. Mas não o que eu quero, mas como tu queres. "E esta é a oração que Jesus nos ensinou no" Pai Nosso ". Nosso pai, que a tua vontade na minha vida. Neste mundo, uma vez que tem sido feito no céu. Mais uma vez, como eu sei, meu Deus, nosso pai, me ama? Porque Ele é sempre para mim. Uma das coisas mais bonitas São Paulo diz a respeito de Deus, nosso Pai, é o que ele diz na carta aos Romanos. "Deus está sempre trabalhando para o bem em nossas vidas." E então ele grita: "Se Deus está ao nosso lado, quem será contra nós? Se Deus é por nós, quem será contra nós? "E, portanto, o nosso direito de chamar a Deus, pai, por isso o nome de Deus para nós. Se alguém me perguntar "quem é Deus para você? Como você definiria a Deus, o seu pai? "Eu diria que este" Deus, meu pai, é aquele que está sempre para mim. Sempre para nós. Esta é a revelação de Jesus. E, portanto, eu vou pedir-lhe para sempre pensar em Deus como aquele que é sempre para você. Mais uma vez, como eu sei que Deus me ama? Porque Ele está sempre me ensinando. Sabemos que na Bíblia quantas vezes é que Deus apareceu a Seu povo. E está ensinando-lhes tudo em grande detalhe. Infelizmente, hoje, as pessoas estão indo para as pessoas erradas para orientação. Para as pessoas erradas para o ensino. Mas você ler o que Deus nos ensina na Bíblia e você vai ver o que uma incrível diferença entre estes dois ensinamentos. Mais uma vez, como eu sei que Deus me ama? Porque Ele está sempre me incentivando. Nosso Deus é um Deus de encorajamento constante. Quantas pessoas já me disseram "Meu pai nunca me deu um abraço. Meu pai nunca me abraçou. "Mas o que a Bíblia diz sobre o nosso Deus? Que Deus está sempre nos incentivando. Vimos a vida do próprio Jesus, que é um reflexo do amor de Deus. Quando as mães trouxeram as crianças para ele e os apóstolos queria colocá-los fora. Jesus estava zangado com os seus apóstolos. É a única vez nos evangelhos que Jesus estava zangado com eles. E ele lhes disse: "Não vos impedi-los de chegar a mim." E o que Jesus fez? Ele levou as crianças no colo. Ele abraçou-os. Ele beijou-los. Ele colocou as mãos em suas cabeças e orou por eles. Esta é a imagem do que Deus, nosso pai, está fazendo por nós. Portanto, para o Deus dos cristãos, é um Deus de esse tipo de amor. E, finalmente, por que é que podemos chamar nosso pai Deus? Porque Deus está sempre orgulhoso de nós. Uma das mais belas experiências que temos com os nossos próprios pais, o que podemos dizer sobre o nosso pai, "oh, meu pai sempre foi orgulhoso de mim." Eu estava conversando com um amigo meu, em Roma, que estava escrevendo sua tese na Escritura . E qual foi o tema da sua tese? Foi apenas um versículo da Bíblia. O versículo que diz: "Sede perfeitos como Deus é perfeito." E ele estava trabalhando por dois anos em um presente sentença. E eu lhe disse: "Por que desperdiçar seu tempo a esta frase?" E ele me disse: "Porque este é o resumo de todo o evangelho." O que significa isso? Isso significa que Deus nos ama tanto que ele quer que sejamos não apenas como ele. Ele nos criou para ser como ele, mas ele quer que sejamos tão perfeito como Ele é. No Antigo Testamento, Deus diz: "Sede santos, porque eu sou santo." No Novo Testamento, Jesus diz: "Sede misericordiosos como vosso Pai é misericordioso." Olhe para os nossos próprios pais terrenos, todo pai quer que seu filho seja o melhor. Todo pai tem grandes planos sobre seu filho. Ele quer que o seu filho a ser um médico ou um engenheiro. Talvez o próximo presidente do Brasil. Talvez o próximo papa. Todo pai sonha com o futuro de seu filho. Quanto mais Deus nossos sonhos pai de cada um de nós? E não é só sonhar, ele disse que, Deus quer que sejamos o melhor. Ele não está satisfeito com o segundo melhor. Ele quer que sejamos a melhor pessoa. E é por isso que Deus nos ama. Meus queridos irmãos e irmãs, quando olhamos para os evangelhos, vamos perceber porque é que Jesus nos diz para chamar Deus de nosso pai. Saberemos mais quando lemos outra frase de Jesus, começamos este ensino, dizendo que isso era o que Jesus disse: "Se vossos pais, mau como são, sabem dar boas coisas aos seus filhos. Quanto mais o Pai celestial dará o melhor? "Mas eu gostaria de terminar esta conversa por outra coisa que Jesus disse, algo que não é tão bom, isso é o que Jesus disse, ele disse:" Não vos chamar qualquer ser humano o seu pai. "Isto é o que Jesus disse. E você pode se perguntar por quê. Ele disse: "Só Deus chamar seu pai, porque ele é o único que merece o título de pai." Ele é o único que merece ser chamado de pai. Não significa, portanto, que, após esta sessão, você não vai chamar o seu pai daddy's mais. Que você não deve me ou pai Jonas pai chamar. E você me diz "Isto é o pai Rufus disse. Isto é o que Jesus disse. "Jesus disse isso, mas o que ele quis dizer? Isto é o que ele estava tendo em sua mente, era sim um desafio para nós, porque pais terrenos se daddys físicos, ou nossos pais espirituais, são destinados por Deus para ser os sinais e canais de nosso Pais amor. Cada pai humano, se é o nosso pai física ou nosso pai espiritual, tem uma enorme vocação de Deus. Ele tem que ser um sinal do amor de Deus. E mais do que isso, ele deve ser um canal, uma média do amor do Pai. E, infelizmente, muitas vezes, o oposto está acontecendo. Quantas pessoas já me disse "eu odeio meu pai" A maior dor que eu já vi em famílias católicas em todo o mundo, é ter um pai que é alcoólatra e que é um homem violento e aterroriza a mãe e os filhos. E pior também, abandonar as crianças. Por qual motivo? Por nenhuma razão. Talvez por algum prazer fugaz. Para seu próprio conforto. É por isso que Jesus disse: "Não vos chamar qualquer ser humano o seu pai." Ele estava dizendo que como um desafio para você, pais terrenos. Ele estava dizendo aos pais terrenos, ambos os pais espirituais e pais físicos, que a sua vocação é chegar ao padrão de Deus, nosso pai. Você tem uma grande responsabilidade e um ideal. E, portanto, ser pai não é fácil. É um risco. É um desafio. Mas Jesus nos diz que o amor do pai deve ser um modelo, deveria ser um desafio para todos vocês, pais aqui, a todos os pais do Brasil. Agora vou terminar com uma história. Eu estava abençoando casas durante a semana da Páscoa na minha paróquia em Bombaim e eu vim para uma casa muito grande e eu estava batendo na porta. Não houve resposta. Tocando a campainha. Nenhuma resposta. E então os coroinhas que foram me acompanham me disse: "Pai, não vá para aquela casa. Esse homem é um alcoólatra. "E eu disse a esses meninos" Eu sei disso, mas eu ouvi dizer que ele mudou. Ele se juntou aos Alcoólicos Anônimos. "E então ele me disse" Mas pai, ele voltou. Ele teve uma recaída. "Naquele momento, uma mulher na casa vizinha olhou através da janela e ela me disse:" Pai não vá para aquela casa. Que o homem é como um porco e sua casa é como um chiqueiro. "Então eu lhe disse:" Eu não vim para abençoar as casas, mas para abençoar casas. "E eu continuei a tocar as campainhas. E então a porta se abriu e este homem olhou para mim. Eu o reconheci. Ele justificou que ele não sabia que era o dia das bênçãos das casas. Eu sabia que o seu fundo, ele pertencia a uma das famílias mais católicas de Bombaim. Padres e freiras na família. Mas, infelizmente, ele se tornou um alcoólatra. Seu casamento foi quebrado. Ele tornou-se um mendigo. E então, como eu fui em abençoar a casa, bem, ele era realmente como um porco, com sangue atirado olhos e cabelos desgrenhados. Sua casa era como um chiqueiro, com vômito e excrementos, aqui e ali. Notei que não havia uma única peça de mobiliário em toda a casa. Ele vendeu todas as peças de mobiliário para bebidas e percebeu que ele não tinha roupas, exceto os shorts que ele usava. Ele me disse mais tarde que ele tinha vendido a cada peça de roupa para bebidas. E depois de abençoar toda a casa, eu estava cheio de compaixão de Jesus. Saber o que a dor e humilhação que ele tinha trazido para sua família. E eu gritei com ele, eu gostaria que você pudesse mudar. Mas ele se virou para mim e gritou: "Pai, eu quero mudar, mas me diga como." Eu não sabia as respostas que eu sei agora. Mas eu notei uma bela estátua do Sagrado Coração de Jesus, no canto da sala de estar. E eu o levei na frente da estátua. E eu lhe disse: "Eu quero que você prometa Jesus, neste momento, que você não vai tocar em uma gota de álcool." O que me fez dizer que eu não sei. E então eu levá-lo a uma oração de arrependimento, a oração de perdão e uma oração de renúncia. Eu levá-lo a orar aceitar Jesus como seu Senhor e Mestre. E uma oração pedindo ao Espírito Santo para encher sua vida. E então eu saí da casa. Se você me perguntar, então: "Você pensa sua oração pode tê-lo ajudado?" Eu teria dito que "Francamente, não." Porque, então, eu não tinha qualquer fé. Eu só tinha isso quando eu estava orando por ele. E eu esqueci dele. Um ano depois, os pais da paróquia foram convidados para uma festa em uma das casas dos paroquianos. E todos nós fomos, foi uma grande festa. E em todos os quartos foram os hóspedes e, em determinado momento, o anfitrião da festa, aquele a quem a casa pertencia, levantou-se e falou, e ele disse: "Você pode se perguntar por que eu chamei para esta festa, você pode pergunto por apenas refrigerantes estão sendo servidos. Porque "ele disse" hoje, exatamente um ano atrás, um padre veio a esta casa "E quando ele começou a contar a história do meu cabelo começou a ficar em extremidades, porque eu percebi que ele estava se referindo a minha visita a sua casa exatamente um ano atrás. Mas era verdade, porque a partir daquele momento de oração há um ano ele não tinha tocado uma gota de álcool. O Senhor o libertou completamente de seu alcoolismo. E mais do que isso, seu corpo foi arrebatado com a doença. Os médicos lhe deram apenas dois meses de vida. Mas quando Deus tirou-lhe o alcoolismo, Deus o curou mesmo de sua doença física. E então ele se disponibilizou para ajudar cada alcoólica em Bombaim. Então ele assistir todos os alcoólicos anônimos grupos e ele daria o seu próprio testemunho muito forte. E ele iria terminar o seu depoimento por duas frases: "Dou graças a Deus meu pai, por me permitir ir até às calhas." Ele foi visto frequentemente nas sarjetas de Bombaim. Calhas com todos os pisos de terra e lama. Sim. Ele foi muitas vezes visto na estrada caído. "Porque, se eu não tivesse ido para lá, eu nunca teria experimentado o quanto Deus me ama." E em segundo lugar, ele dizia "Há apenas uma pessoa que eu agradeço e que é o nosso Senhor Jesus Cristo por ter me dado uma última chance. Por me dar esta última chance de voltar para a casa de meu pai. "Louvado seja o Senhor.